Allegedly the only man capable of holding the Führer's intense gaze, Rothay Reynolds was a leading foreign correspondent between the wars and ran the Daily Mail's bureau in Berlin throughout the 1920s and 1930s. The enigmatic former clergyman was one of the first journalists to interview Adolf Hitler, meeting the future Führer days before the Munich Putsch. While the awful realities of the Third Reich were becoming apparent on the ground in Germany, in Britain the Daily Mail continued to support the Nazi regime. 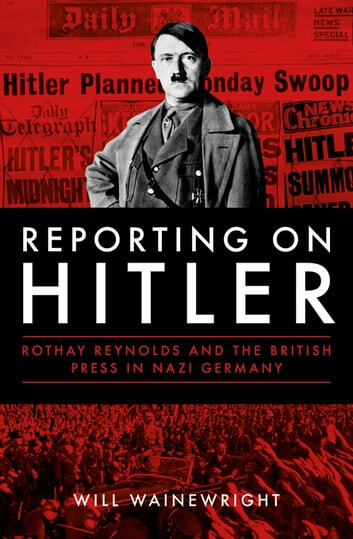 Reynolds's time as a foreign correspondent in Nazi Germany provides some startling insights into the muzzling of the international press prior to the Second World War, as journalists walked uneasy tightropes between their employers' politics and their own journalistic integrity. As war approached, the stakes - and the threats from the Gestapo - rose dramatically. 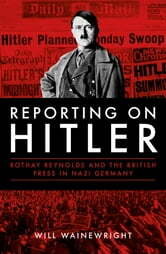 Reporting on Hitler reveals the gripping story of Rothay Reynolds and the intrepid foreign correspondents who reported on some of the twentieth century's most momentous events in the face of sinister propaganda, brazen censorship and the threat of expulsion - or worse - if they didn't toe the Nazis' line. It uncovers the bravery of the forgotten heroes from a golden age of British journalism, who risked everything to tell the world the truth. This book provides a revealing and comprehensive account of the activities of foreign correspondents in pre-war Europe and their coverage of events leading ultimately to war. The influence of newspaper proprietors on their papers‘ output have a distinctly contemporary ring to them. The combination of naivety and blind optimism that coloured opinions about Nazi Germany at the time may shock readers armed with the wisdom of hindsight. They create a warning for the present of the frequently skewed judgement of politicians and information formers in the present age. This book is a useful lesson for the future as well as an excellent record of psst events.